Monday May 7th 2018 I completed the Belfast Marathon 2018 in Northern Ireland. 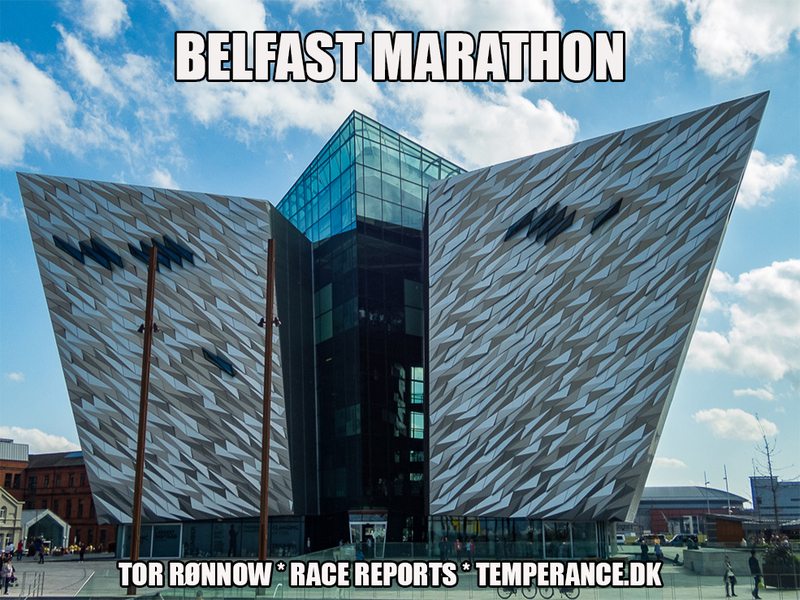 Find below my full race coverage plus some tourist impressions from Belfast. Both the location and the beauty of Belfast city took me by a complete surprise: what a lovely and friendly city indeed! I have a hard time to understand the troubles this capital and region was though in the IRA-period and how these extremely friendly habitants of Belfast are tied to their sad past of terror and war on religions. It makes me very sad that generations of children have grown up here in hatred and fear. Well, that makes me sad for all over the world, but as a child of the 70-ties the IRA and bombings the awareness of this particular conflict is still in mind. I remember movies like “In the Name of the Father” and the fear of travelling to London and reports of school kids being murdered in the streets. Why ? Give up your children or others children – for … what ? Tell me again. I just don’t get it, I will never accept it and this trip to this wonderful city makes it even less understandable: I simply LOVED Belfast! Titanic Belfast is the most wanted attraction anno 2018, so they say. This somewhat new museum sports the history and making of the legendary ship Titanic and is also from an architechtural point of view a visit worth while. I have tried not to spoil too much in my report, rather hint just how wonderfully interesting Titanic Belfast is. You should visit Belfast just for this and to be honest, Belfast Titanic is the reason why I did just everything to get into the Belfast Marathon this year. Not to take away gold from thr Belfast Marathon – that was a great event too, as you can read below. Belfast Marathon 2018 took of at 9 AM Monday morning of the bank holiday. The event was nicely organized and no less than 37.000 participated in the combined events including the marathon relay. The route was scenic at times and overall very demanding, sporting a whooping 259 height meters up and 235 down, making me wanna cry during the last couple of miles. The route also covered some of the “troubled” parts of Belfast with reference to the IRA-period and the sad religion war /history, cf. above. But see for yourself in the full race report below to make your own impressions of the Belfast Marathon 2018.